The property has been very well maintained by the current owner and is in 'move in' condition. 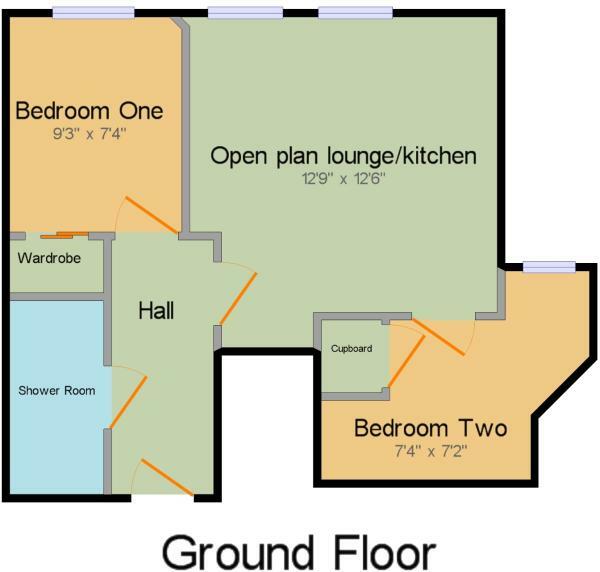 There is an open plan lounge/kitchen with the kitchen area being well fitted with a range of units. Bedroom one has a built in wardrobe, and the second bedroom has the airing cupboard and there is a three piece shower room. The building has both lift and stair access to all floors, permit parking and a gymnasium area. Offered for sale with no onward chain. The Spectrum is located on Dunlop Road and is close by to a major supermarket and the town centre is easily accessible. Ipswich town centre has a wide range of shopping, dining and recreational facilities including a mainline rail station with trains to London. Road access to London, Cambridge and further afield is via the A12 and A14. Disclaimer - Property reference IPS190108. The information displayed about this property comprises a property advertisement. Rightmove.co.uk makes no warranty as to the accuracy or completeness of the advertisement or any linked or associated information, and Rightmove has no control over the content. This property advertisement does not constitute property particulars. The information is provided and maintained by Abbotts, Ipswich. Please contact the selling agent or developer directly to obtain any information which may be available under the terms of The Energy Performance of Buildings (Certificates and Inspections) (England and Wales) Regulations 2007 or the Home Report if in relation to a residential property in Scotland.